An Insurance grace period is the amount of time the insurance company will allow for the insurance premium to be received while still maintaining your insurance coverage active. The grace period is defined in your insurance policy contract which will specify conditions that determine how a claim is paid if a grace period is met or not met. Grace periods vary depending on insurance type and insurance company. Not all insurance companies have grace periods. If you do not pay your insurance policy premium within the grace period or by the due date, your policy and coverage may be canceled or you may have penalties to pay. Insurance grace periods are sometimes confused with "insurance waiting periods", however, these are not the same. Learn more about the insurance grace period and how it works in the examples below. How Long Is an Insurance Grace Period? The insurance grace period may vary from insurance company to insurance company and also by state. If there is a grace period, then depending on the insurance policy, the grace period can be as little as 24 hours or as long as 30 days. Health insurance, as explained in the example below, may have up to a 90 day grace period based on certain criteria under the Affordable Health Care Act. What Does an Insurance Grace Period Do? What Kind of Policies Have an Insurance Grace Period? Insurance grace periods are applicable to several different kinds of policies such as health insurance, life insurance, home insurance, condo insurance, and car insurance. Not all insurance companies are obligated to offer an insurance grace period. You must ask your insurance representative to let you know if yours does. Is There a Cost for Paying During the Insurance Grace Period? There may or may not be a penalty, or additional charge when paying the insurance payment during the grace period. Is the Insurance Grace Period the Same in Every State? The insurance grace period regulations vary from state to state and some companies and policies do not even have one. Ask your agent about your insurance grace period conditions or contact your state insurance commissioner to understand the specific rules for your type of policy. What If You Have a Problem Meeting the Insurance Grace Period Deadline? As shown in example 1 below, keeping open communication with your agent or representative can really help. If you can't pay your premium in full, consider payment plans or monthly bank withdrawals. Some insurance companies even give you a discount for going on a monthly payment plan, so it is not only convenient, but it will save you money by adding more discounts. Your first step when you foresee trouble with your insurance payment is to call your representative, they are truly there to help you and want to make sure that they do everything they can to help you stay insured. There are many reasons an insurance company may cancel your policy, but among them, a cancellation for non-payment can be a real problem down the line. Not only will you not be insured, but other insurance companies might refuse to cover you depending on their underwriting guidelines or they might not give you a claims-free discount due to the lapse of insurance, or not offer you payment plans as a result. In the case of a life insurance policy, beware that if you allow your policy to be canceled you may have to take a new medical exam and risk getting refused coverage or have to pay higher premiums if your health has changed since the first time you got the original policy. You want to avoid being canceled at all costs. Remember that insurance policy rates sometimes even take your credit rating into consideration, so not paying now, may cost you later. With the numerous payment plans, insurance companies offer you should be able to find a way to pay within the insurance grace period by discussing your payment options with your agent. Here are some examples of different scenarios where an insurance grace period comes into play. Open communication with the agent ensures the grace period isn't missed. Joan was not able to pay her car insurance payment when it was due. It was due Wednesday, but she would not be able to pay it until Friday. She called her insurance agent and asked her what she should do. The insurance agent told Joan that she has a 15 day grace period to pay her car insurance payment and there would be no extra charge to pay the car insurance payment within that grace period. She also assured Joan that her car insurance coverage would stay in effect as long as her car insurance payment was received within the 15 day grace period. Payment for insurance policy not received when the claim happened, but the claim gets paid due to the grace period. Jennifer purchased a new insurance policy for her condo, her agent told her that the premium was due on June 20th. Jennifer decided to pay her premium by sending her check in the mail on June 15th, expecting that it would be received in time. 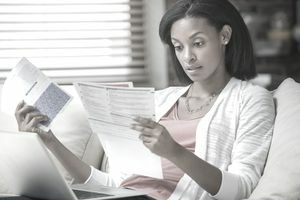 Unfortunately, the postal service took longer than expected, and by June 22nd when Jennifer called to make a claim, her agent told her the payment had not been received. Jennifer was shocked because she had mailed the payment. She was in a panic but her agent told her not to worry because of the insurance grace period, she had an additional 5 days before her policy would be canceled. The insurance grace period saved Jennifer a lot of money because her claim was covered and her check arrived at the insurance company the next day. Thanks to the insurance grace period everything worked out. Next time, Jennifer decided she would rather just pay with electronic funds transfers through her bank to avoid the stress of such a close call. Claim not paid on a new home because the grace period was not respected. Jeff and Julie purchased a policy for their new home, this was their first home insurance so they were not really familiar with how the insurance grace period worked. Jeff though Julie was going to pay the policy and Julie thought Jeff would take care of it, next thing you know the grace period was over and the policy had not been paid. The insurance company sent them a letter and tried to call them, but because they were in the middle of moving into their new home, they missed the calls and didn't see the mail. The second night in their new home, a pipe burst, causing water damage on the first floor. They called the insurance company only to find out that the grace period had ended two days earlier and they had no coverage. Luckily it was not "big damage", but it cost them over $5,000. Then the insurance company advised them that they would not insure the home until the repairs were completed, so they had to look into alternative insurance for higher risk properties because their mortgage required proof of insurance to protect the loan. If they had understood the importance of paying within the grace period, this would have never happened. Although not all health insurance is required to provide an insurance grace period, under the ACA, Insurers must give policyholders receiving an advance payment of premium tax credits a 90 day grace period to pay their premiums if they have already paid one installment. However, if the full premiums are not paid in full by the third month of the grace period, the insurer may cancel the policy backdated to the last day of the first month of the grace period term.